CSM Gecko: How did you get started in breeding reptiles and how long have you been doing it? goReptiles: It all started when I turned 16 and I received my first leopard gecko. It was a 6-9 month old normal female from a pet store that my dad bought me. He also bought me all the supplies that the pet store employee told him to. I named her Banon and did most of my own research. A month later I bought a small albino then a friend gave me, a male she didn’t want and swore he would not breed because she and his previous owner had both tried with several females. They lied…he bred with Banon and so I quickly borrowed an incubator. I got another female, and that’s how things got started. It was an oops that turned into what it is today, even though there were a few good years in between that oops and my first real breeding pair. But overall I’ve been raising reptiles since 2003, and steadily breeding since 2006. CSM Gecko: What types of projects or products are you planning for the future? 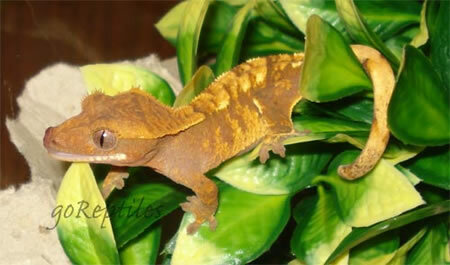 goReptiles: I hope to continue with high quality crested geckos, as well as various leopard gecko morphs. I would also like to expand my rosy boa collection to a few more. I’m hoping to expand to tree frogs, dart frogs, and various tortoise species. All that will come much later on though. I’d prefer sooner, but I just don’t have the space at the moment. I would also like to expand to products such as cage décor one day. I haven’t been able to determine where and when to take that leap yet. I have ideas, but it’s just a matter of developing those ideas. CSM Gecko: What is your favorite morph? goReptiles: It would probably have to be the pinstripe crested gecko with the cream pinning and reddish back and head. It’s hard to explain, but they’re really nice. I’ve seen a number of different types of pinstripes, but to me, these are just clean looking. 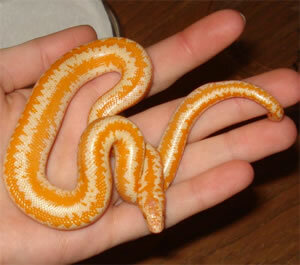 As for leopard geckos, it’s hard to decide, but a nice red-orange super hypo tangerine has always caught my eye. CSM Gecko: Where do you see goReptiles headed in the future? goReptiles: Some days I want to say bigger and better things with more variety and more reptile species, but other days nowhere and this day is the last. Most of the time, I hope to continue expanding new projects with species. Space, time and money is needed to expand though. CSM Gecko: Do you attend any reptile shows? If so, which ones? goReptiles: I’ve attended solely as an attendee, but I know that’s not what you’re asking. 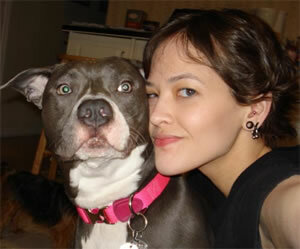 I have not vended at any shows yet, but I would like to vend at some of the shows in Atlanta. CSM Gecko: How many breeders do you have in your projects or collection? I’m probably missing a few, but that’s about it I think. Thanks Whitney for taking time to tell all of us about what you are doing at goReptiles.com. You can check Whitney and goReptiles out on her website www.goReptiles.com. 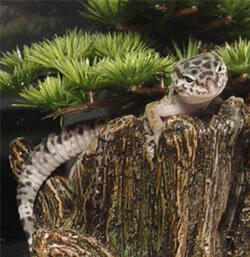 Our next Small Breeder Interview will be coming from Daidra at Leopard Gecko Lair. As always, if you would like to take part in this interview series please contact Cory at CSM Gecko. You can contact Cory through his website www.csmgecko.com or email csmgecko@gmail.com.